I love Photoshop. I love that it can make a good photo better. I love that if I have a little problem in a photo, I can fix it. And I love that there are a hundred different solutions to fix that little problem. It's just a great piece of software. I also love when I learn something new about Photoshop that is a genuine help to me. For example, the other day I was watching a Zack Arias critique of another photographer's portfolio. (Aside to any photographers reading this - you need to check these critiques out. They're outstanding. He's tough on the photographers that submitted their work for critique, but it's done in a respectful, honest way. And as you listen, you're mentally going through your own pictures and website to figure out what to fix or change. He's a great teacher and has an amazing eye.) 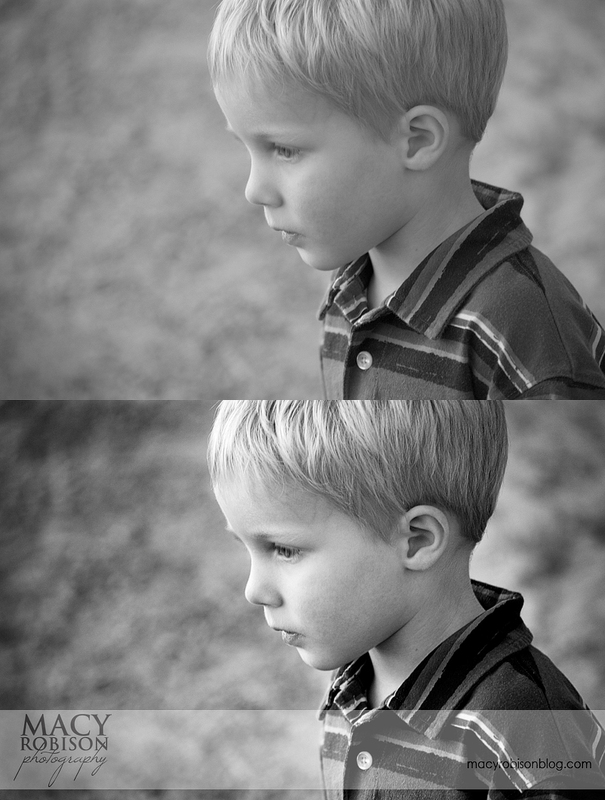 In the critique, Zack commented on one of the B&W photos in the portfolio and mentioned that it was a "flat" image. There were no real blacks or whites in the image - everything was a flat grayscale. He took a screenshot of the image and pulled it into Photoshop and did an amazingly simple thing. 1. He clicked at the bottom of the layers palette to add a Levels adjustment layer. 2. 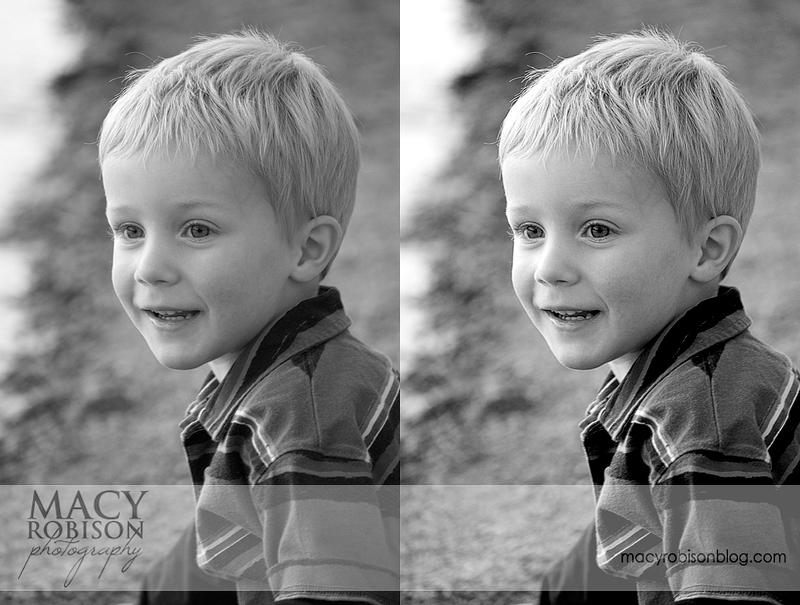 He held down the option key and moved the shadows slider. Holding down the option key isolates just the shadow parts of the image and moving that slider to the right intensifies them. When he had some true black spots in the photo, he let the option key go to check the image and adjusted it until he liked it. 3. He did the same thing with the highlights. And then he was done. It took less than a minute. And the difference in the photo was huge. You can really see the difference in this next one. The before is the top picture and the after is the bottom picture. I also burned the background around him a little bit on this last picture. Photoshop is fun! If you are interested in learning Photoshop, the Pioneer Woman's photography section is a great place to start. You can also do a Google search for Photoshop tutorials and come up with a million different options. Or post any questions you have in the comments below and I'll try and find an answer for you.